Now that we know On Earth Peace will remain an agency of the Church of the Brethren, we need to discern a shared understanding of how we continue our work of building justice and peace in the denomination and beyond. While we often consider each of these tools separately, we may benefit by starting to look more at both of them together. How do they interact with each other in working for justice and peace? When using the spectrum of allies tool at OEP, we usually focus on people and congregations with whom we are connected in the CoB, and ask where they appear to be on the spectrum with respect to a given concern. What if we looked instead at OEP from the perspective of the leading groups working for inclusion in the denomination, and asked how do they see OEP with respect to their concerns? 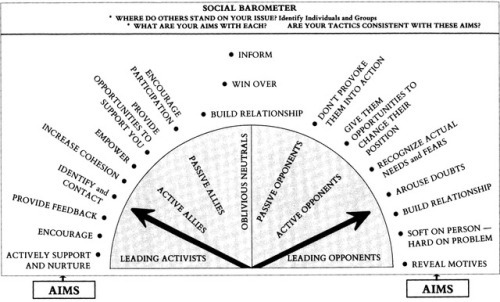 Do they see us as oblivious neutrals, passive or active allies, or as leading supporters for their concerns? And based on where they see OEP on the spectrum of their concerns, what do they want to work toward with us, what do they want to see OEP do with those with whom we are connected in the church and beyond? 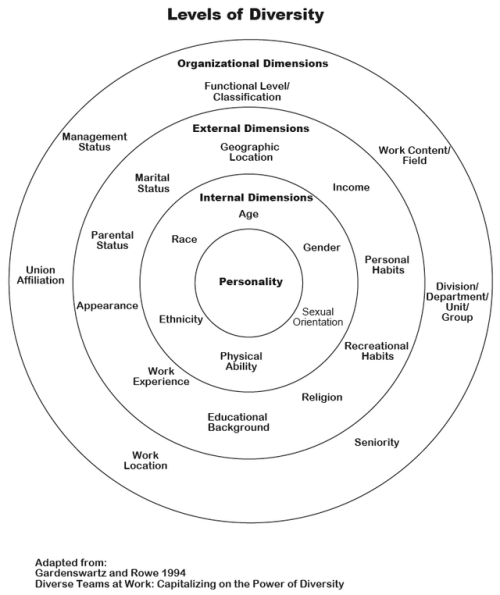 Note that each of these categories are at the inner core in the wheel of diversity (age, race/ethnicity, gender, sexual orientation). This is why OEP has begun to work on these as justice concerns in recent years, as we have been learning together about the integral union of justice and peace. Note too that we are missing meaningful focus on gender (women), age (elders), and ability (physical/mental) in our justice work at OEP so far. Some people who may be uncomfortable with a part of our work (say, with respect to LGBT or racial justice concerns), may be active allies in other parts of our work with respect to some of these other concerns. This kind of split worldview with respect to oppression may give opportunity for more people to learn about intersectionality, which often can be a side door for people to come to see some of our biases in a new light. This article has begun to explore how we might use the spectrum of allies tool in conjunction with the wheel of diversity tool to find new ways of working for justice and peace in the church and beyond. Opportunities for relationship abound, without any need to dilute or compromise our core commitments and values.